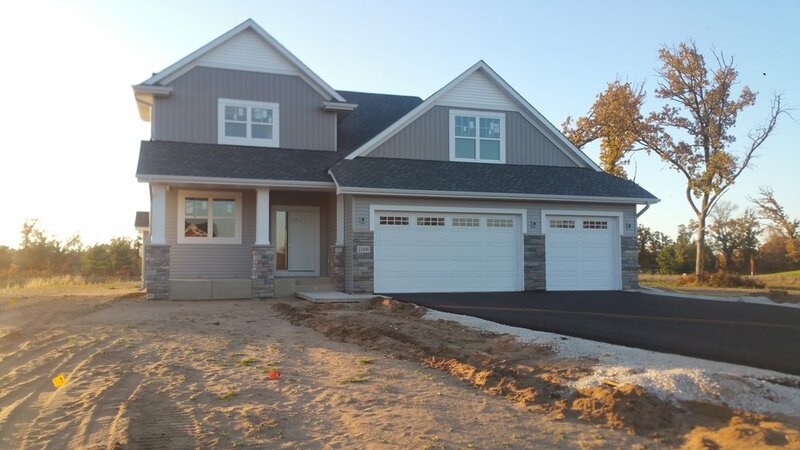 We completed a siding, soffit/fascia, and post wrap installation for a home construction job in Big Lake, MN. We used Mitten Sentry siding in the Flagstone color, Norandex Aluminum for the soffit/fascia, and LP Smartside in white for the post wrap. The new owner will love the contrast of the grey siding with the white accents of the post wraps and the soffit/fascia.